Vom 05.09.2017 bis zum 06.09.2017 wurden 7 Knowledgebase Artikel veröffentlicht. After an upgrade from Horizon 6 version 6.2.3 to Horizon 7 version 7.x, the RDS host and remote applications are no longer visible after login from the VMware Horizon HTML Access client. This article provides steps to verify TCP/IP settings and to verify that the NIC is communicating with the host. After you complete the steps in this article, see Troubleshooting virtual machine default gateway connection issues (1007910) to confirm the LAN connection. 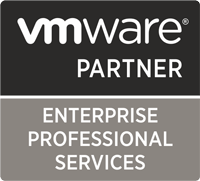 While running the config.pl script during the VMware Tools installation, you might need to manually build the VMware Tools kernel modules on SUSE Linux Enterprise Server (SLES) or SUSE Linux Enterprise Desktop (SLED) guests. For example, if the guest does not have support for prebuilt kernel modules (PBMs), you need to build them manually. PBMs are a collection of Linux drivers that facilitate optimal operation of the virtual machine.